This 1 day workshop will use still life as its subject with techniques easily adjusted to portraits, landscapes and other. 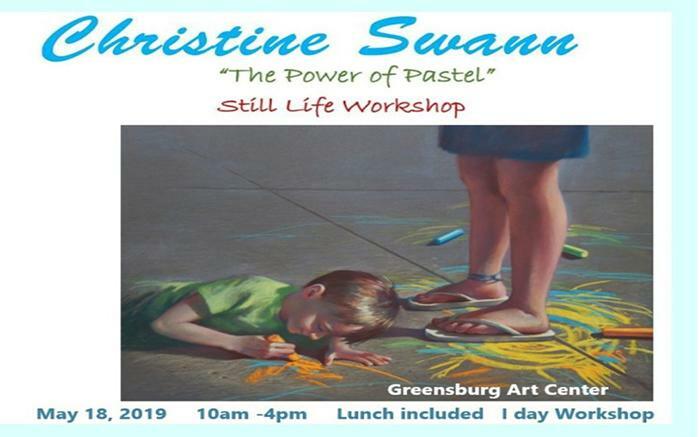 Christine Swann is an award-winning artist on the international level. She is currently the President of the Pittsburgh Pastel Artists League and a Past President of the Pittsburgh Watercolor Society. Christine’s layer approach to understanding light and controlling the “power” of the pastel medium will be the focus of the workshop.